Come to the Irvine Animal Care Center’s 2015 Super Pet Adoption Event, Sunday, June 7! 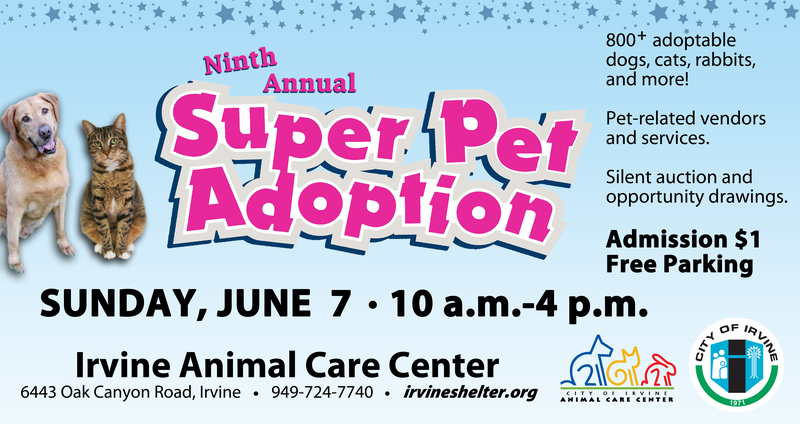 Be sure not to miss Irvine’s Ninth Annual Super Pet Adoption event on Sunday, June 7 from 10:00 am to 4:00 pm. More than 50 pet rescue groups and animal shelters will bring more than 800 homeless dogs, cats, rabbits and small animals for adoption. The event will also feature vendors, refreshments, free veterinarian and trainer advice, low-cost microchips and a silent auction of more than 40 items. Admission is only $1.00 per person and parking is free. 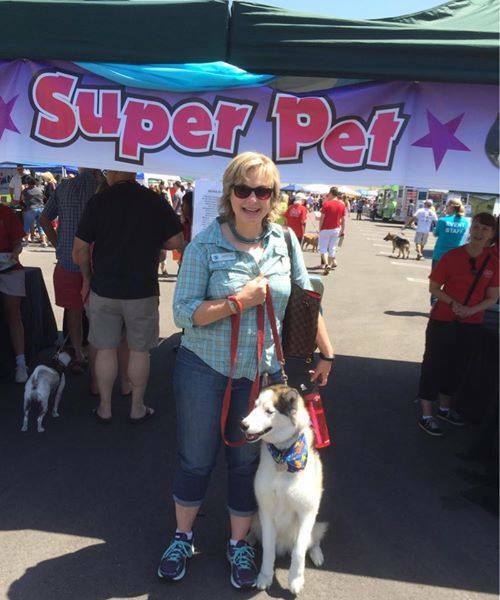 Irvine Community Services Commissioner Melissa Fox and Scout Fox at the Annual Super Pet Adoption Event in 2014. Leashed and vaccinated dogs are welcome. 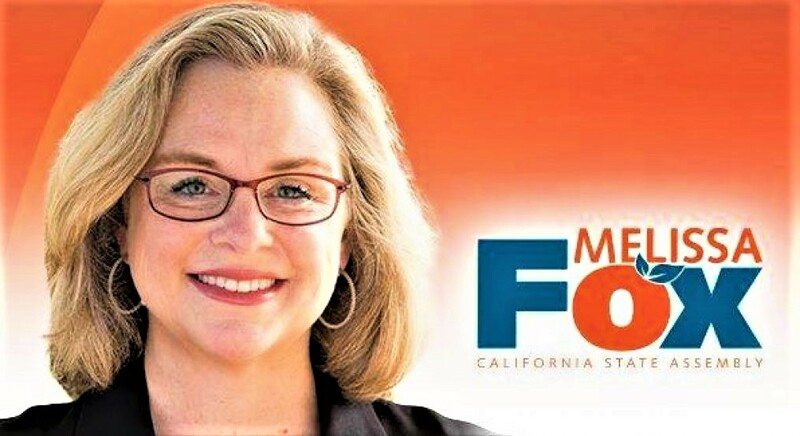 The event will take place at the Irvine Animal Care Center’s facility located at 6443 Oak Canyon Road, Irvine, CA 92618. To apply as a vendor, rescue or shelter, click here. To see the event rules and regulations, click here. The Animal Care Center still needs items for the silent auction and opportunity drawing. Sought items include pet items, restaurant gift cards, theme park tickets, electronics and gift baskets. Items are tax-deductible. Please mail or drop off your items by May 22. If you have additional questions, contact the Irvine Animal Care Center here. When: Sunday, June 7 from 10:00 am to 4:00 pm. Where: Irvine Animal Care Center’s facility located at 6443 Oak Canyon Road, Irvine, CA 92618.